Welcome to the spiffy new Mayzure.com. I’ve neglected my site a lot over the past few years, but I’m ready to get back into the swing of things. In the last few iterations, this blog didn’t really have a focus, which quickly turned it into a chaotic mess. Sometimes I posted about politics, sometimes I posted about personal thoughts, sometimes I just posted a snapshot of the current state of my desktop. And towards the end of its previous iteration, it devolved into auto-reposting the days’ twitter tweets. The turning point came with the domain renewal notice. Did I want to keep the site and try to do something with it? Did I just want to let it go, and risk never being able to get my hands on my domain ever again thanks to domain squatters? It is, after all, my last name (and a rather distinctive one, at that). That’s when I decided to go ahead and renew the domain, and actually do something with it. So here we are. “So, who is this guy behind Mayzure.com?” you may (or may not) be asking. I guess I should take the time to introduce myself. My name is Brian Mayzure. 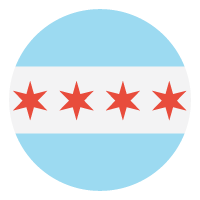 I’m a freelance graphic designer living on the northwest side of Chicago in a neighborhood near Logan Square called Avondale. I’m a hometown boy — raised in Bucktown, and later Humboldt Park. But I haven’t been here in Chicago all my life. In my tween years, my family moved to a small southern town in Tennessee. After high school, I moved to the Nashville area to go to school, and wound up staying there for many years. Later on, I spent two years in Indianapolis, where I quickly learned that despite its faults, Middle Tennessee was a much more tolerable place than I had given it credit for. Indiana, it turns out, is far more right-wing conservative than Tennessee. In the fall of 2005, I took a leap of faith and moved back to Chicago. And I haven’t looked back since. And here we are in the late summer of 2013, and I’ve taken another giant leap — I’m starting Columbia College Chicago in just a few weeks. I’m not exactly sure what the future of this site holds, but I intend to set aside a few minutes a day to post something. Stick around, things could either be interesting, or go horribly awry.